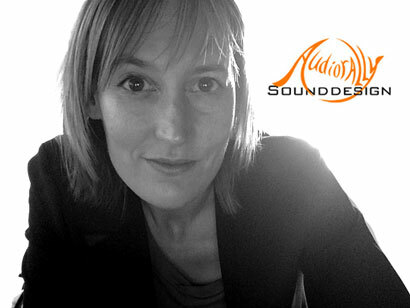 AudioRally Sounddesign is an audio post production company based in the Netherlands. Founded and runned by Aline Bruijns since 2009. Specialized in sound design, sound effects editing, foley fitting, dialogue directing & recording or the complete audio post production. If possible we’d like to think along during the pre-production phase of a project and be involved not just as the audio post facility, but develop a superb synergy between image and sound. So your story gets through to your audience in the best possible way. The AudioRally Sounddesign studio, designed and executed by company Mutrox in 2011, is a joy to work in. The studio workspace daw is a pro tools 12 HD system with a lynx Aurora N interface and a PSI 5.1 speaker surround setup. If desirable or necessary AudioRally Sounddesign has a large network containing (other) great location sound recordists, sound editors, re-recording mixers, voice-actors and music composers. So a project, big or small, can meet the expectations foreseen by a small or larger composed audio crew supervised by AudioRally Sounddesign.